Our product range includes a wide range of pendimethalin 30% ec and atrazine 50% wp. Our respected clients can avail from us a quality proven a range of Pendimethalin 30% EC (Pendi Green), which is formulated by taking of optimum quality ingredients. Offered product is a weedicide and has the pure & precise composition that is used in handling per-emergence control of annual grass as well as broad-leaved weeds. 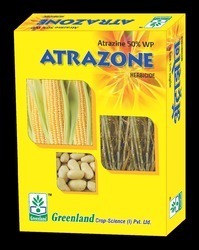 Our reputed clients can avail this pesticide from us at market leading prices.